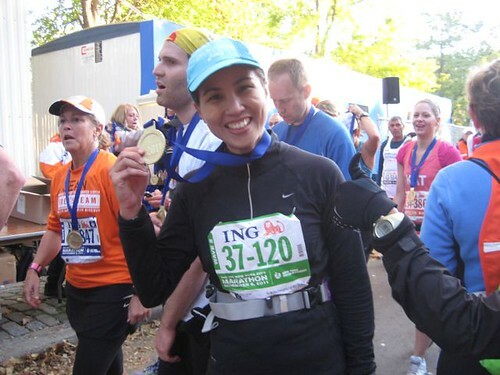 This begins my story about the ING New York City Marathon which took place last November 6, 2011. 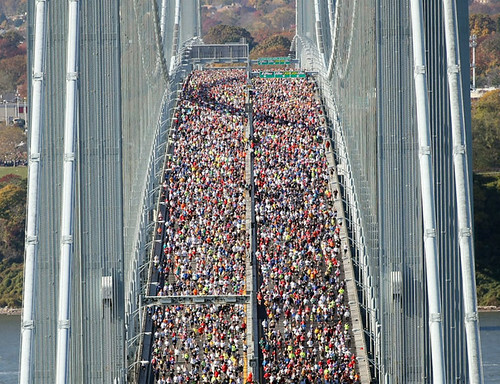 Over 47,000 runners from all over the world ran 42.195 km through the five boroughs of New York City: Staten Island, Brooklyn, Queens, Bronx, and Manhattan. 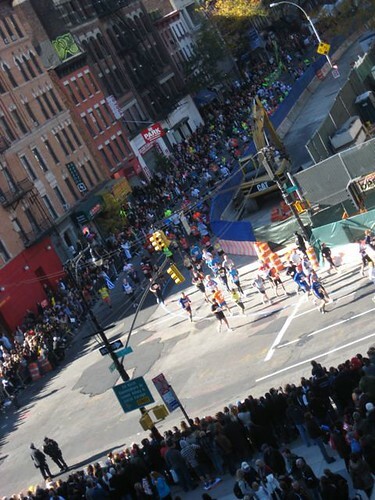 Over 2 million spectators came out to cheer for the runners. A whopping $34 million was raised for charity. And its male winner, Geoffrey Mutai ran the fastest ever on a record-certified course in the United States with a time of 2:05:05. 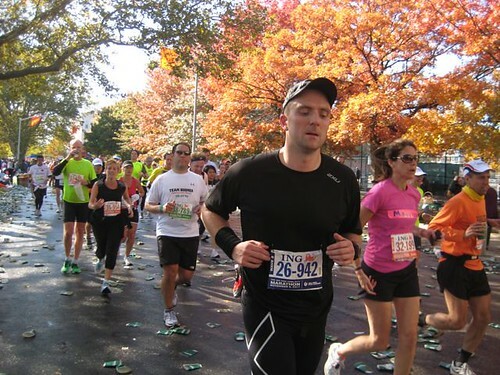 Thanks to Gatorade, I had the opportunity to run the ING New York City Marathon for a second time. The awesome people at Gatorade, who I can now call friends, offered full support from hydration allocation and scientific tests to actually running long runs together. They often said: We’re giving you the chance to redeem yourself at New York, but now with our full support. 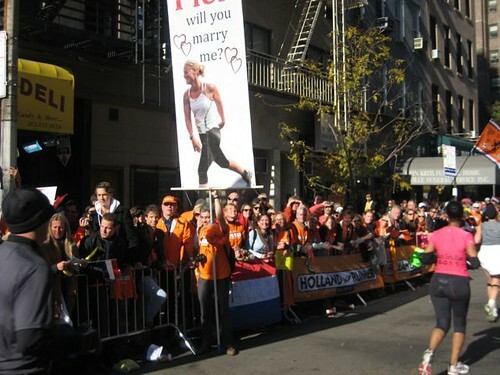 I always say that every runner should run the ING New York City Marathon at least once in their lifetime. Imagine, I was given the chance to run it twice! This was a gift that I felt blessed to receive and I planned on giving it my best, whatever “best” meant given the situation I found myself in months before the race. 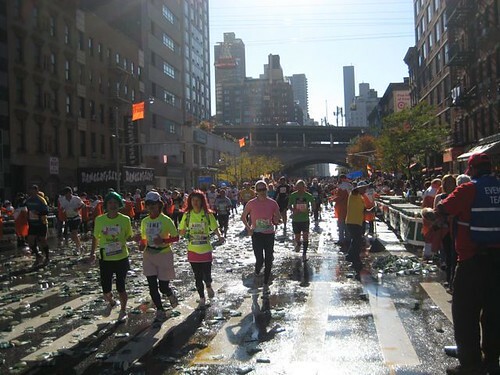 My story about the ING New York City Marathon is a tale about two runs within the marathon that were as different as night and day. 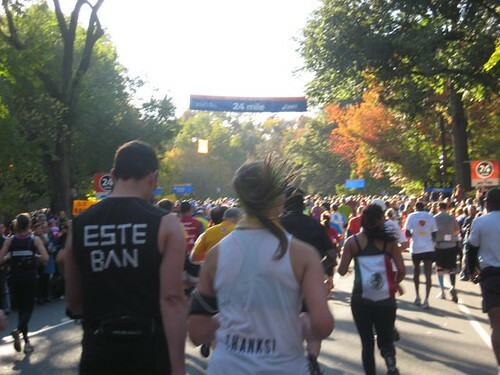 The first run was the first 21k of the marathon, while the second was the last half. Everything changed for me after a potty break at the halfway point. For those unfamiliar with the Big Apple, reaching the race start at Staten Island before the race actually starts feels like a huge win already. It can be quite confusing for international runners so careful planning must be done days ahead of the race. 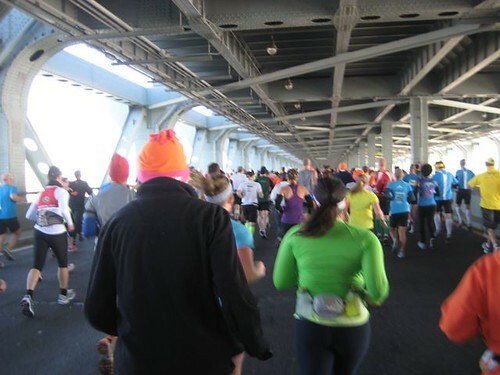 Fortunately for me, I rode a cab with NY-based runner and member of Adobo Run Club, Jet, to Whitehall Terminal, boarded the ferry to Staten Island together, and made it to our own corrals at around 8:30am with lots of time to spare before our race start at 10:10am. I waited alone for over an hour. I was excited but anxious at the same time. After five marathons under my belt, I had never been so ill-prepared for a race as this one. Don’t get me wrong; I always take marathons seriously as everyone should, but, due to my neuroma, which I only fully recovered from 3 weeks before race day, I only had 21k as my longest run. 21k?! No amount of prayer would take me to a smooth and easy marathon. I predicted one of two things: 1) Bonk at 21k, or 2) Bonk at 25k. Either way, I knew from experience that this was going to be a painful and agonizing 42km. 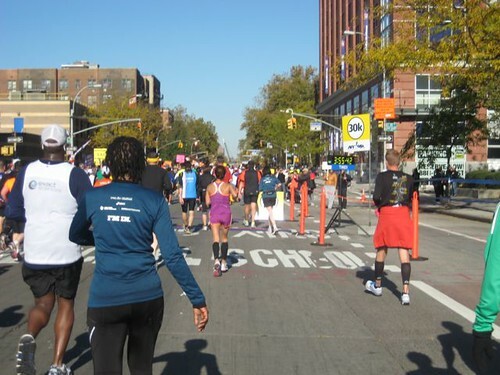 At the same time, I tried my best to calm myself with the idea that this was NYC and “In New York, there’s nothing you can’t do, these streets will make you feel brand new.” I sure hoped my legs would feel brand new even at 32km! 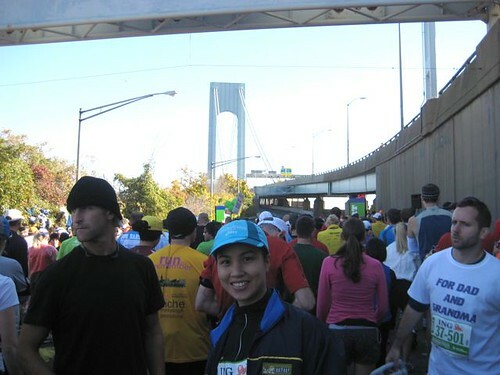 We were then finally called to walk to the starting line at Verrazano-Narrows bridge. A booming, energized voice welcomed us all for the race. 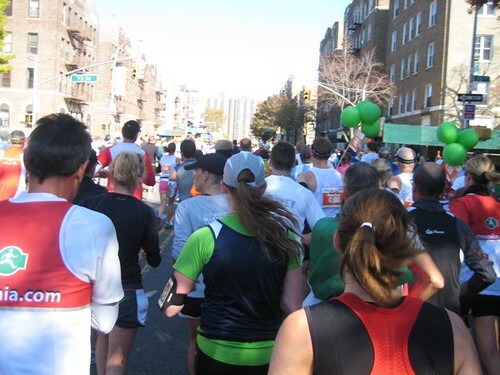 Runners chatted nervously or walked quietly unto the front of the line. The weather was perfect, just a little colder than Baguio, so my two layers of clothing plus the throwaway jacket was just right. I walked slowly towards the race start smiling from ear-to-ear barely able to contain my excitement. Suddenly, there was silence. The US National Anthem, the Star Spangled Banner was sung. Then, one of New York’s anthem’s, Frank Sinatra’s Start Spreading the News broke through the air. 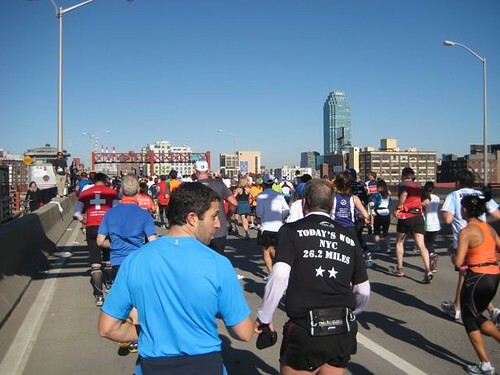 There was cheering, yelling, screaming, then we raced forward towards the bridge and unto the start of our 42km through the five boroughs of New York. 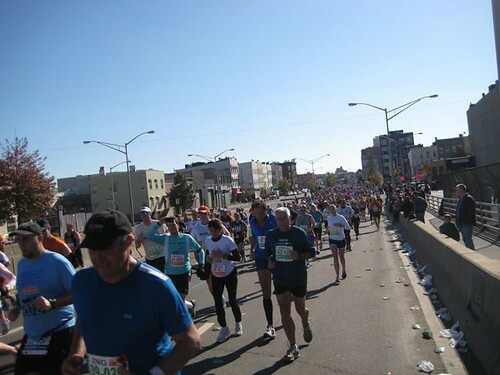 Once we got out of the cold and windy run through the Verrazano-Narrows Bridge and unto the sunny roads of Brooklyn, it felt like we were racing for our lives. The course was flat and fast and it was hard to hold back. We were running at a pace below 6 min/km. I knew I should’ve gone at a more conservative pace, but at the same time I thought: “Hey, if I’m going to bonk at 21k anyway, I might as well go full speed ahead. Besides, it was difficult to slow down with a crowd this fast anyway.” (I know, I know. I shouldn’t have done this. But, they don’t call me TBR for nothing!) So off I went. I would slow down only for hydration breaks which, as advised by Gatorade was 125ml every 15 minutes. The hydration stations for the race were every 1 mile or 1.6km. 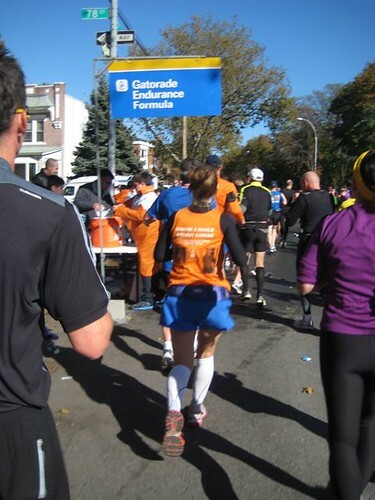 I took gulps of Gatorade Endurance at most of the stations. Took a Hammer Gel at 10k. And off I went again feeling strong. Wow. 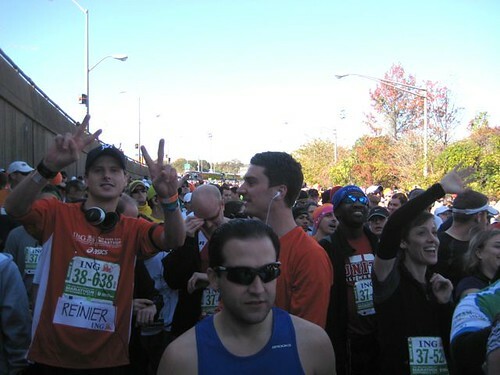 The sights and sounds of the ING New York City Marathon really compared to nothing else. 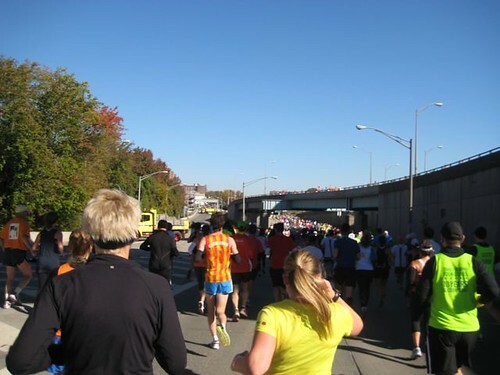 The number of runners on the road that day were astounding already. 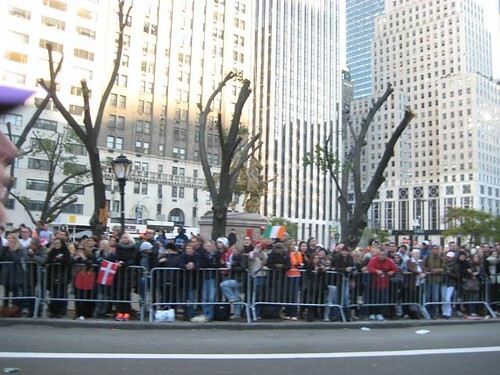 But, to see the spectators lining the main roads and side streets, standing by the curb handing out food or yelling our names, was simply overwhelming. There were just so many people around us at any point during the race that there was no time for loneliness or boredom. 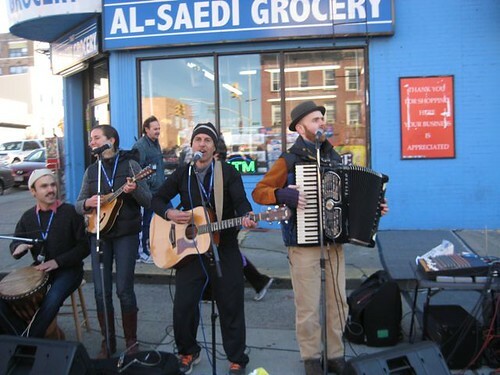 Each borough pulled out all the stops to bring motivation, good cheer, and entertainment to us runners. It really was a celebration of running and the human spirit. I took a peek at my watch when I hit 20k and had mixed feelings. It was a good split, but I knew I couldn’t keep it up with so little training in my legs. I took a potty break, saw the slight climb on the bridge ahead, and took a long, deep sigh. I suddenly felt depleted. Why were there so many uphills? I remember myself thinking. I didn’t notice all the climbs from my run last year. 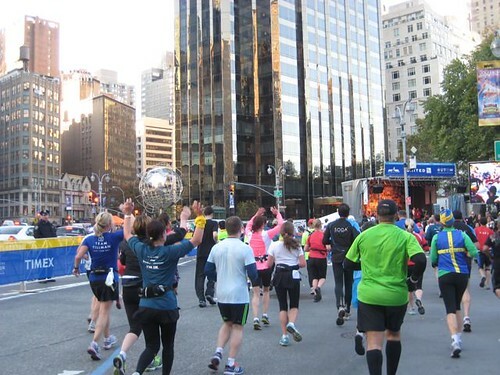 They say that ING NYCM is one of the most fun courses you’ll ever run because of the crowd support, but make no mistake about it: it is still one tough route with five bridges to climb and several ascents throughout the course, even in the last mile. 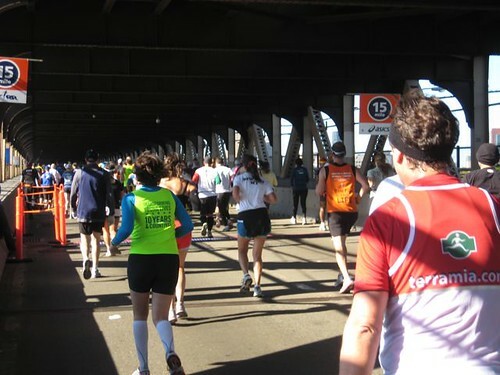 One of the most unforgettable portions of the race was Queensboro Bridge. It’s one of the few portions where there are no spectators to cheer runners on, and most runners struggle to run the steep half-mile climb in silence. By this time, I had accepted the fact that this could be my slowest marathon ever. I was alternating between running and walking and enjoying the walks a lot more than the runs! I could choose to feel disappointed over this or enjoy the experience. I chose the latter. No use crying over missed training that I could do little about because of my Neuromas. Uhm, I may have also gone too fast during the 1st half and suffered for it now. 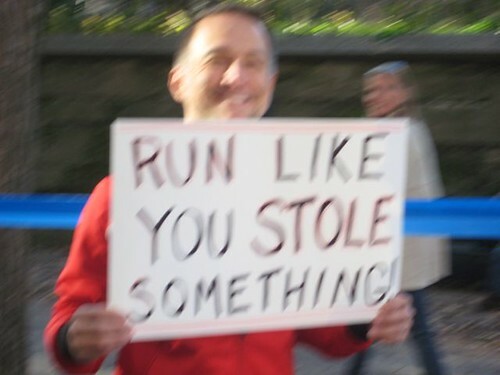 (You marathoners, take note of this. Don’t be as bullheaded as I am and don’t do as I did in the first half!) 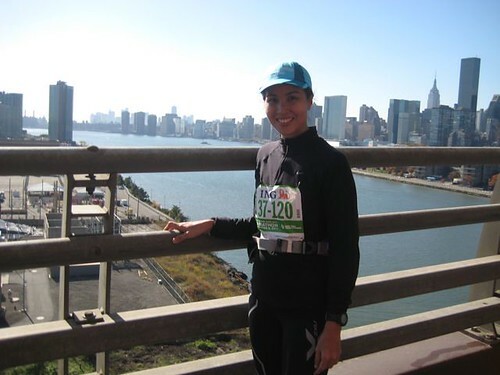 I slowed down and started to notice more of the view around me and was overcome by joy: I was running NYCM a second time! How lucky was I?! 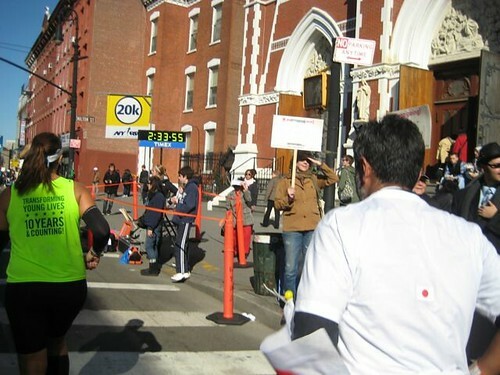 After surviving Queensboro Bridge, the next part was the highlight of the race for me just like last year. We entered First Avenue where the roar from the crowd was electrifying and energizing. The crowds here were five-rows deep from beginning to end. Cheerers provided tissue, chocolates, bananas, petroleum jelly and moral support just at the point where runners are struggling and wanting to give up. 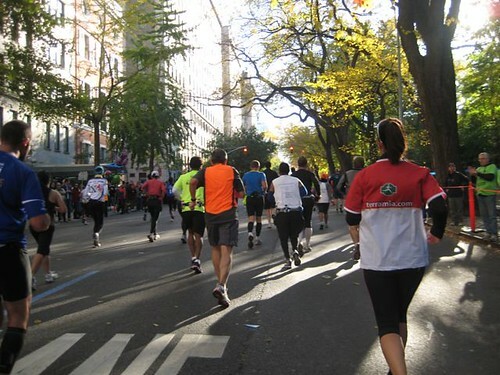 By the time, I was walking most of the time and I was taking in the sights: I would read the banners from the spectators, watch runners struggle alone or find strength in another, and take photos of this incredible experience. I took me almost the same amount of time to run the first half of the race and the last 12k. As I run-walked through Central Park out again to Columbus Circle and back again into the park towards the finish, I was filled with emotion over the last few miles of struggle and the wonderful support from strangers around. It’s almost feeling a battle within: wanting so badly to finish the race and sit down to rest, but also wishing that this awesome experience would never end. – Ooops. Gotta get out of Central Park into Columbus Circle first. Gasp! 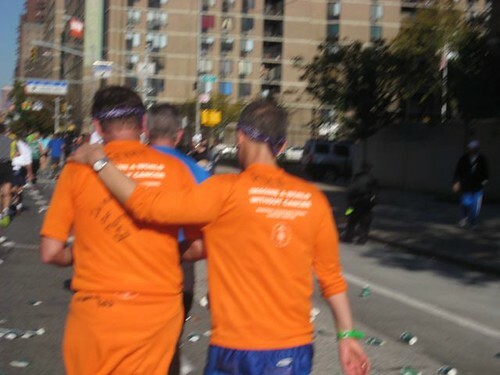 I finished the ING New York City Marathon with a time of 5:21:09. This is my slowest marathon time for all six marathons I’ve run. 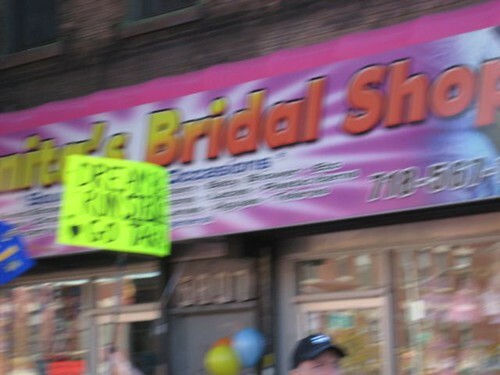 In fact, I had never run a marathon over 5 hours before. I’d be lying if I didn’t say I was disappointed with the time. Of course, I could always blame the Neuroma for messing with my training, but still a bad performance is just hard to take no matter how you look at it. I was severely depressed about if for, uhm, around 2 minutes. Then, I plodded forward along with other runners in that long, cold walk out after the finish line (some runners call it “The Walk of Shame”) while sipping my Gatorade post-recovery drink and munching on pretzels. I claimed my check-in baggage, sat by the sidewalk on Central Park shivering in the cold alone barely able to move my legs and my teeth chattering. I glanced at the medal around my neck and thought: Woah, I just finished a marathon! Fast or slow, walk or run, I finished! And, boy was I proud of it! Thank you once again to Gatorade for the opportunity of a lifetime! Just like I’m running also in NYIM reading your stories. Congrats Ms. Jaymie. 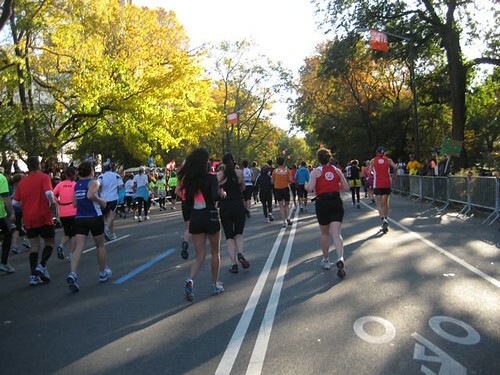 really looked forward reading your NY Marathon part 2…thank you for sharing your experience. Jaymie!!! your blog just gave me goose bumps! You are truly very inspiring! We, at Gatorade, are very proud of you!!! 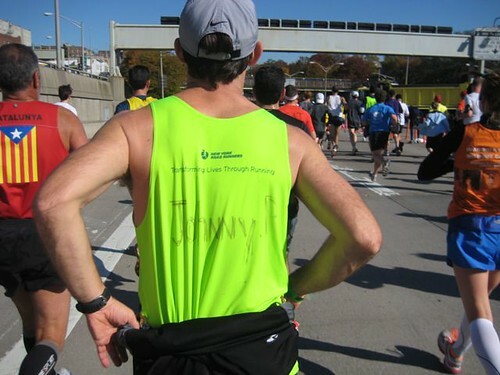 Your 1st NY marathon inspired me to run at this years TBRDM and I managed to finish another marathon after TBRDM. 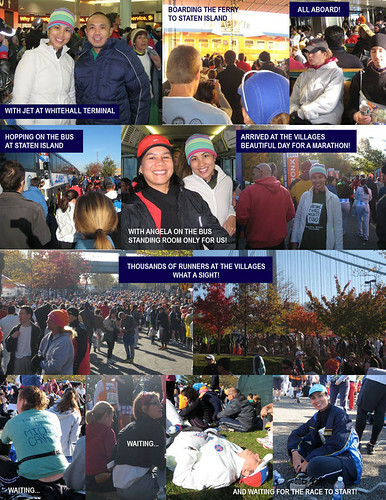 For sure 2012 TBRDM batch will definitely be motivated to run their first marathon thru your 2nd NY marathon experience. It was a good run Jayms, a fantastic experience all around. We are happy to be your (training and eating) wing men again anytime! hah hah. A nice read. Great pics as well. Congrats on marathon #7. I’m aiming for marathon #3 next week sa QCIM. Hope I don’t bonk. Asa pa! Hehe.